What’s keeping you connected? A question that we don’t tend to ask ourselves quite often. But if we do, will we look further than our smartphone, tablet or computer screen? At Cartamundi we are well aware that we live in a world where technology is definitely present. Yet, board games are still as popular as ever. Technology is exponential and humans, simply are not. That’s why board games now, more than ever, have the power to pull people out of the digital world. And we need more of that nowadays! In these six-series post you will discover the real deal of the great board game revival. "At Cartamundi we believe that playing games together makes the world just a little bit better. This is why our global team of game experts is always up for a challenge! 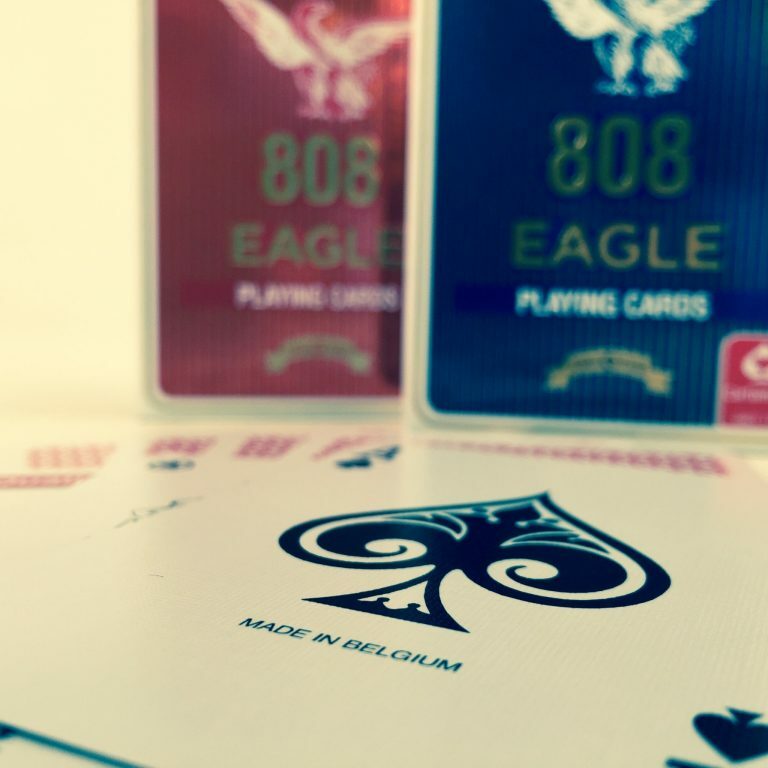 Cartamundi, WE ARE GAME." 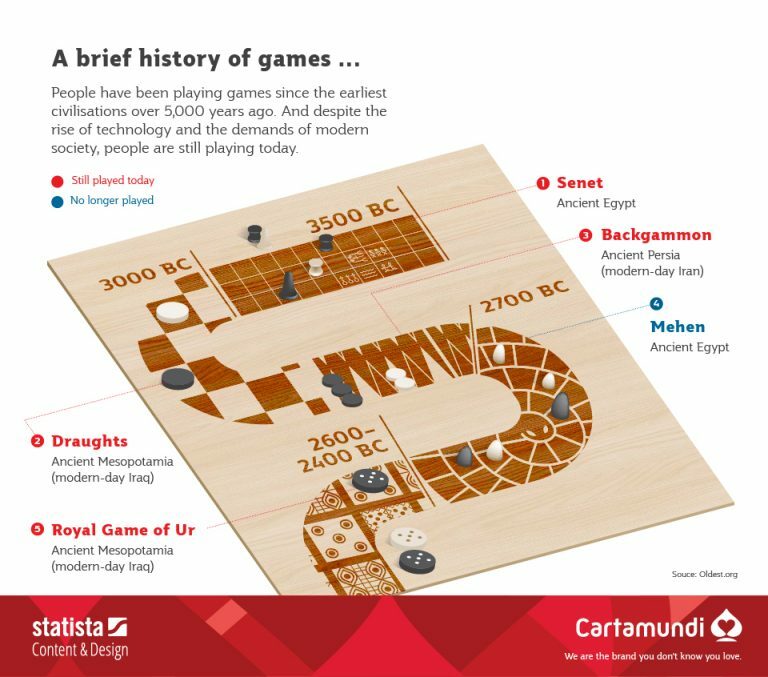 People have been playing games since the earliest civilizations over 5.000 years ago. And despite the rise of technology and the demands of modern society, people are still playing today. Games such as Senet or Draughts which were commonly played amongst the people of ancient Egypt or Mesopotamia are still up and running until this day. The staying power of some of the more traditional games definitely makes them stand out. 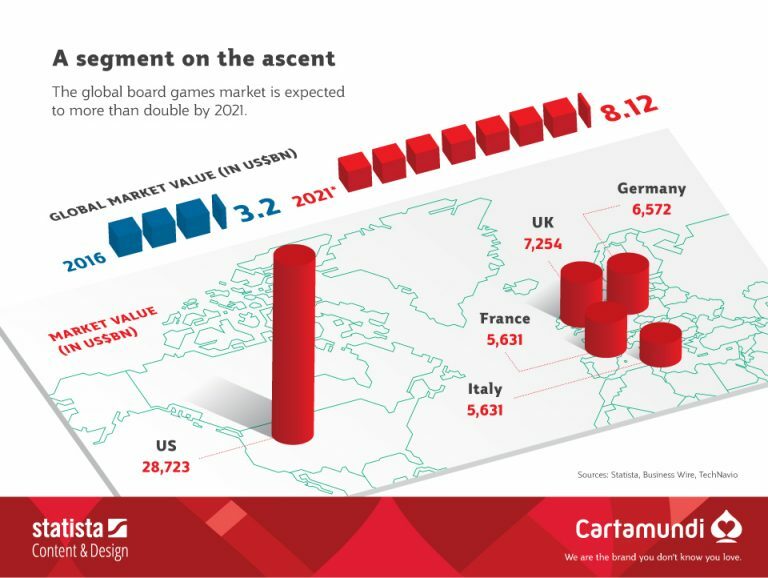 The global board games market is up on the rise and it looks like it’s here to stay. Board games have a well settled value within the social community. The market keeps on growing beyond expectation and will be doubled in size by 2021. The market value in 2016 was estimated at 3.2 US$BN while the predicted value for 2021 is expected to hit a solid 8.12 US$BN. 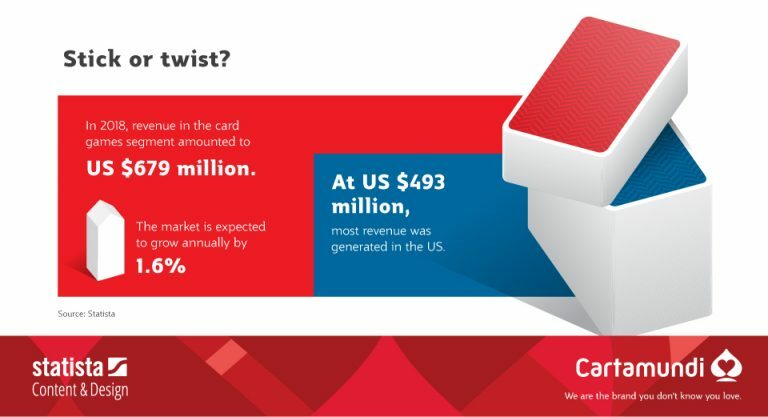 In 2018 the revenue in the card games segment amounted to US $679 million. Whereof most revenue was generated in the US with a whopping $493 million. This market is expected to grow annually by 1.6%. 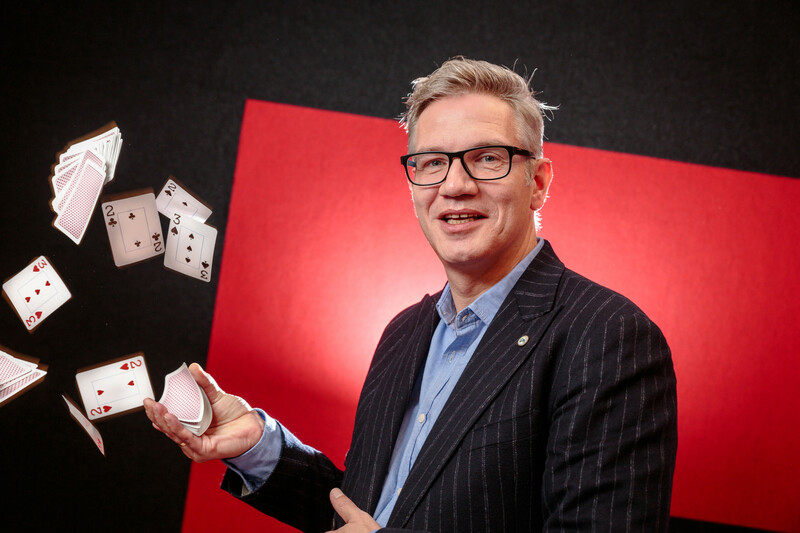 Cartamundi is still the world’s number one company in the production and sales of cards and games. 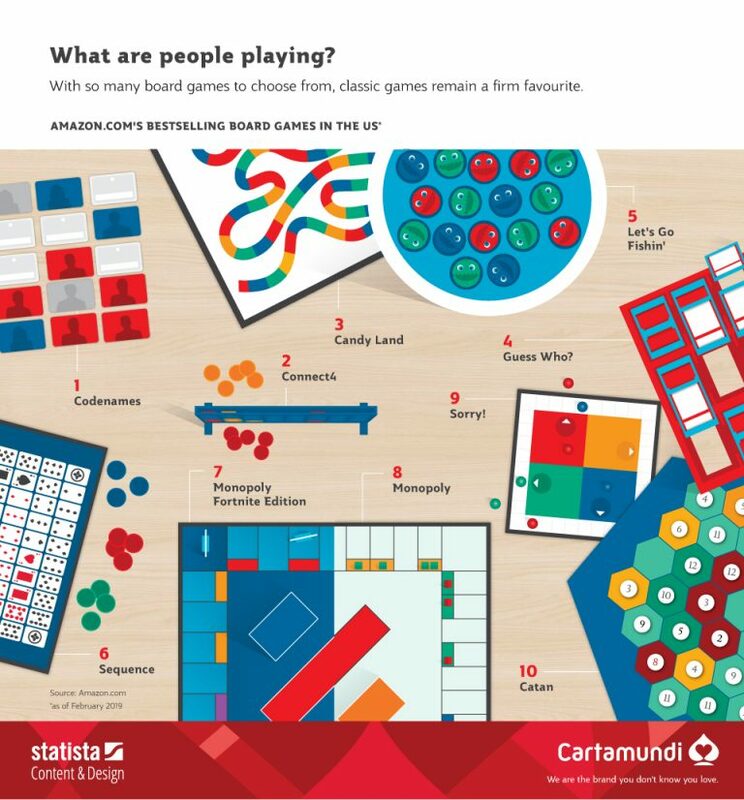 Like no other Cartamundi knows that board games can be enjoyed by young and old alike. What might be seen as a new insight is the surprising comeback among gen Z, also known as the millennials. These digital natives keep up the chart and are definitely proof that board games are not only for the elderly or the youngest members of our society. 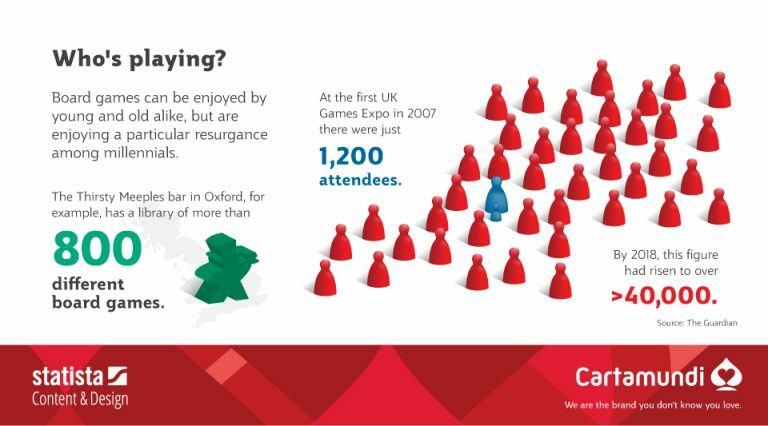 In just eleven years’ time there is an undeniable change of attendees at the Games Expo in the UK. This particular expo kicked off in 2007 with only 1.200 attendees, whereas last year this figure had risen to over 40.000 people. Speaking of a gamechanger. 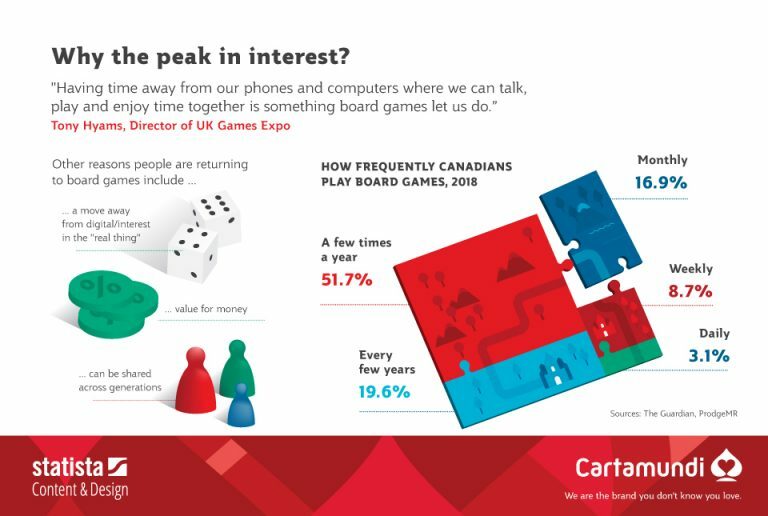 "Having time away from our phones and computers where we can talk, play and enjoy time togheter is something board games let us do"
Board games make people engage in activities that do not involve all the new technical gadgets where we have to stare at a screen for a long period of time. It allows us to take a step back from our phones and computers and lets us spend some much needed quality time together. Technology can evolve, but it can’t steal what makes board games so great. Even with new games entering the market on a daily basis, the all-time classic board games are still stealing people’s hearts. A game of Connect4 or Monopoly is definitely a must have in the good old game closet. Nevertheless games such as Codenames, Candy Land, The settlers of Catan or Guess Who? are still amongst the best-selling games. 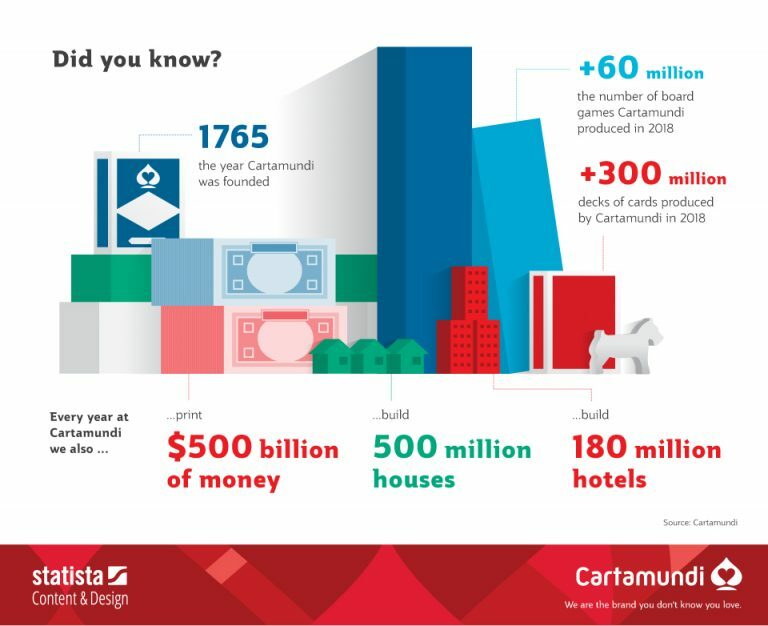 Every year at Cartamundi we also …. It’s safe to say board games have an established value amongst many people. They teach us patience and rivalry, can be an escape from the digital world or they are just a simple excuse to share a moment with each other. They remind us to share the magic of playing together. want to get in touch with the games experts?